Member of Parliament for Wokingham and Chairman of the Economic Competitiveness Policy Group. 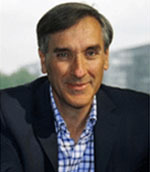 John Redwood has been the Member of Parliament for Wokingham since 1987. First attending Kent College, Canterbury, he graduated from Magdalen College, and has a DPhil from All Souls, Oxford. A businessman by background, he has been a director of NM Rothschild merchant bank and chairman of a quoted industrial PLC. John was an Oxfordshire County Councillor in the 1970s. In the mid-1980s he was Chief Policy Advisor to Margaret Thatcher. He urged her to begin a great privatisation programme, and then took privatisation around the world as one if its first advocates before being elected to parliament. He was soon made a minister, joining the front bench in 1989 as Parliamentary Under-Secretary in the Department of Trade and Industry. He supervised the liberalisation of the telecoms industry in the early 1990s and became Minister for Local Government and Inner Cities after the 1992 General Election. Shortly afterwards, John joined the Cabinet and served as Secretary of State for Wales from 1993 to 1995. In opposition he has acted as Shadow Secretary of State for Trade and Industry (1997-1999), Shadow Secretary of State for the Environment, Transport and the Regions (1999-2000) and Shadow Secretary of State for Deregulation (2004-2005). He stood for the leadership of the Conservative Party in 1995 and again in 1997. John was a fellow of All Souls from 1972 to 1987 and again from 2003 to 2005. He is currently a Visiting Professor for Middlesex University Business School and has published a number of books including ‘Superpower Struggles‘, on the European Union, China and the United States, ‘Just Say No‘ on why the UK should reject further European integration, and ‘Singing the Blues‘, his personal history of the Conservative Party throughout the last thirty years. His latest publication, ‘I Want to Make a Difference, But I Don’t Like Politics‘, examines the reason for the decline in membership of political parties and those voting in local and General Elections. John is a frequent commentator in the media and is a keen cricketer and water sports enthusiast, and supports a number of different charities.